Over 3.6 million light vehicles are on New Zealand roads. With the number of cars increasing every year, the demand for car repairs increases as well. If you’re looking for Mazda parts for your SUV or sedan, finding the right parts can be tough. Where do you go to find the right car parts? We’ve put together this quick guide to help you know how to locate what you need to get your car back in working order. Keep reading to learn how to find parts for your Mazda vehicle. Finding the right parts for your Mazda may be challenging depending on the year of car you are driving and the type of vehicle. So, let’s look at three places you can start your search. No matter how many car parts sales rep you talk to, nothing compares to a trusted friend or family member’s recommendation. If you know someone who owns a Mazda and has recently made some repairs on their vehicle, then this is the perfect opportunity to ask for some for information about where and how they got their Mazda parts. They may even provide you with some numbers to give you a better idea of the cost of your Mazda repair so you can start working out a budget. Ordering a part that doesn’t come for months or one that arrives broken won’t help you fix your vehicle. That’s why another thing to do is check online reviews of auto parts suppliers. Similar to asking a friend for advice, online reviews work by providing you with real personal experiences. You can also get several points of view to help you make a decision. If you’re like most people, you trust online reviews as much as your own friends. Checking online reviews will also provide you with specific information about the part you need. Sometimes you’ll also get tips on where to get the best deal. The internet provides a lot of information. However, that can also make it even harder to find the car parts you’re looking for in New Zealand. We exist to make this process faster and easier for you. That’s why we made it simple to look for Mazda parts. Knowing all these struggles, Auto Chain developed a platform that allows you to quickly locate what you need. This process takes much of the guesswork out of getting Mazda parts. Finding a reliable and honest supplier is an important aspect when getting car parts for your Mazda. Unfortunately, there are a lot of scam artists and they come in all shapes and sizes. This is particularly common with used parts suppliers, so you need to find one that will tell you the truth about where a part came from. One way to check for honesty is by comparing the pricing in different Mazda car parts suppliers. You quickly get an idea of a fair price which makes it easier to spot a scam artist that is either far over-valuing or under-valuing a part. Another important aspect to look for in Mazda parts suppliers is the experience they have in the car industry. If someone has years of experience within this business, you can have more confidence in their reliability. Experience is even more important if you are a Mazda user looking for a certain part and you have no idea what are you looking for. In that case, an experienced Mazda parts provider can help you make your decision. 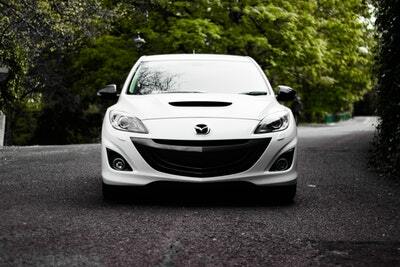 Although it may not be necessary, it can help to go with a supplier that specializes in Mazdas or else a certain part. This may be best if you have several parts that you need. A shop that offers parts for every make may only have a few Mazda pieces available. If you can locate a supplier that primarily deals with Mazdas, then you’ll have a much better chance of finding all the parts you need in one place. It’ll save you a ton of time and energy going from shop to shop. While there are certainly some disadvantages to looking for Mazda suppliers online, there are also some distinct advantages that make it worth it. Let’s take a look at those before we wrap this up. You may also be able to pick up parts from local suppliers yourself so you don’t have to wait for your part to be shipped out. Just make sure you call to confirm you can do a pick up before you leave home. Here’s a super quick run-down of how our system works. As you’ll see, it’ll save you even more time and money than if you used Google or other search engines. After you register, you’ll need to type in what part you’re looking for. You’ll include vehicle information during the registration process so that will already be recorded for you. When the search results come up, you can see all of the auto parts suppliers that have that part for you. You’ll get quotes from them and can start comparing your options. And that’s it! Once you find the right supplier, you can place your order and wait for your parts to arrive. Don’t forget to use our rating system when you get your Mazda part to let others know about your experience. Want More Information About Car Parts? You now know where to go to find the right Mazda parts. As you can see, it might take some work, but it’s worth it! If you're looking for more options, be sure to check out our blog. We have a ton of information and tips on car repair, including an article on what to know before purchasing second-hand parts for your vehicle.